With its large (16.4-inch), high-definition display, powerful graphics and Blu-ray drive, the Sony Vaio VPC-F12M0E/B is designed to appeal to gamers and media junkies. 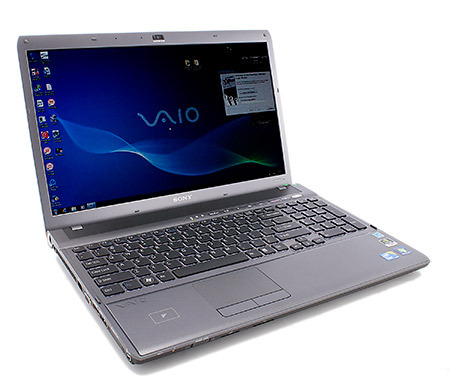 its excellent screen, fast processor and powerful graphics chip, the Sony Vaio VPC-F12M0E/B really is an entertainment powerhouse. Its great keyboard and touchpad also make it a very comfortable machine to use. Needless to say, we've no hesitation in recommending it. Sony's F12 is a capable desktop replacement laptop that offers good value for money, but relatively poor battery life and a few other niggles hold it back from coming recommended. Combining stunning performance, great usability and HD features, the VAIO VPCF12M0E/B is a fantastic machine at this price. Costing £650 less than the MacBook Pro, it stands head and shoulders above all competition at this price.